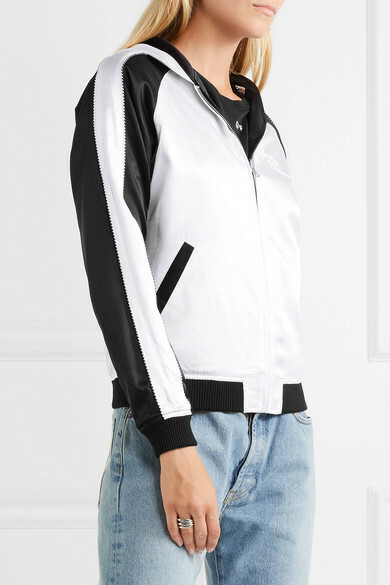 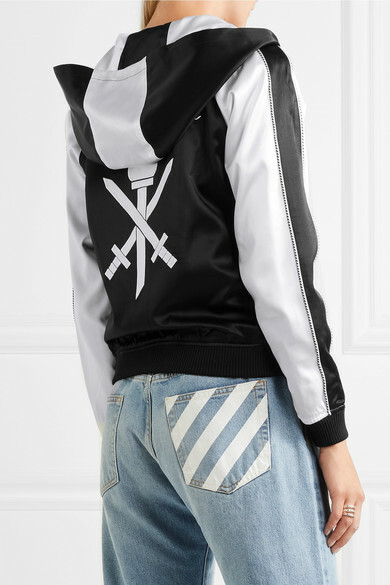 Each season Opening Ceremony designs bomber jackets that fuse sporty elements with luxurious fabrics. 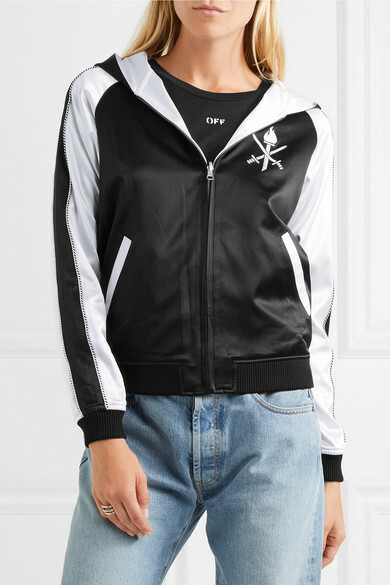 Cut from lustrous silk-satin, this hooded version is detailed with embroidery including a signature torch - the brand's name and mission statement is inspired by the Olympic Games. 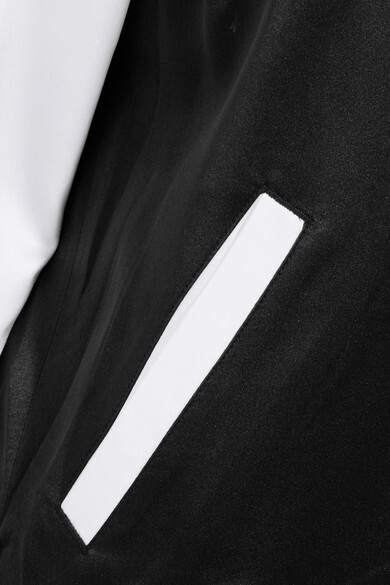 Opt to wear it on the fresh white reverse. 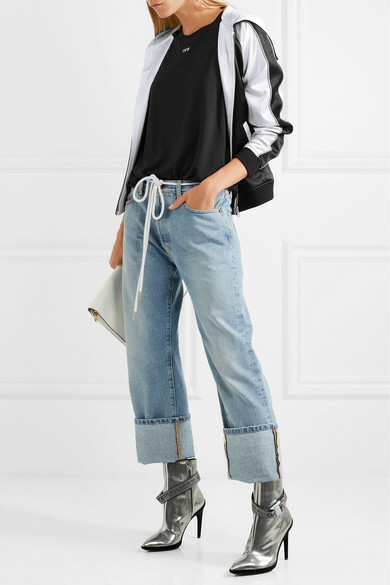 Shown here with: Off-White Jeans, Off-White T-shirt, J.W.Anderson Shoulder bag, Off-White Ankle boots, Bottega Veneta Rings.